Does networking make your palms sweat? Do you find yourself hiding behind a pillar at business mixers? 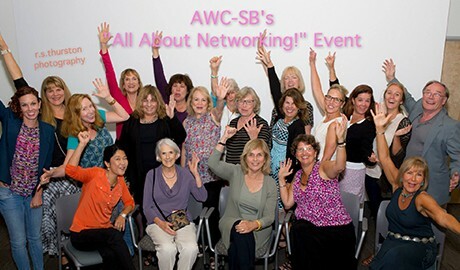 AWC-SB invites everybody, from pro networkers to novice minglers, to their “All About Networking” event on Wednesday, September 7, 5:30-7:30 pm. Join us for facilitated speed networking at workzones in Paseo Nuevo. Come prepared with your elevator pitch for your business, and to tell others what you can do for them and what they can do for you. We will gather in cozy table groups then rotate so you will get a chance to talk to all the other attendees. While we network we’ll enjoy appetizers from C’est Cheese and wine. AWC-SB is happy to welcome our newest sponsor and meeting venue, workzones, a new co-working office space that provides self-employed and independent professionals with an ideal place to get work done. This entry was posted in Past Events on August 18, 2016 by Lisa.